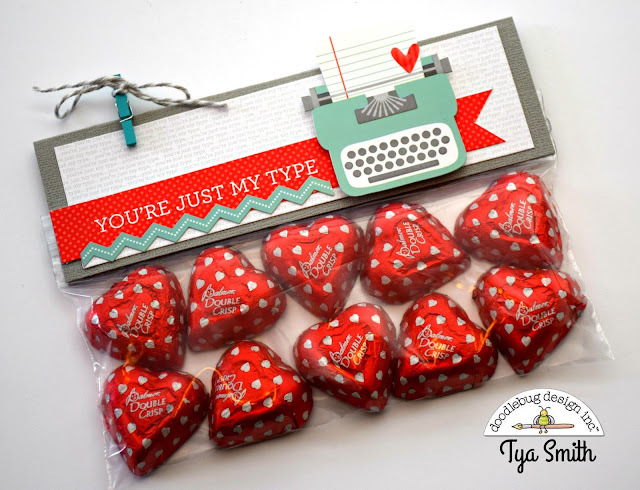 Hi Doodlebug fans - its Tya here and it's my turn up on the blog today to share with you my Sweet Things project. 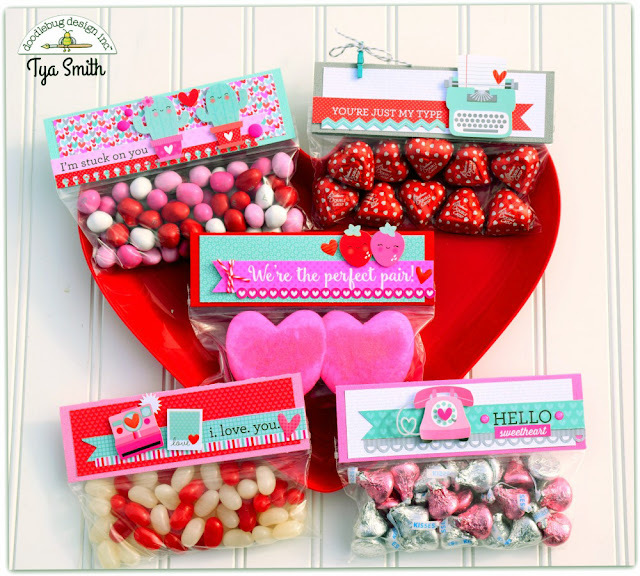 I just love Valentines Day -mostly because it's a holiday that is filled with fun candies and sweets to give to people you love so I thought that it would be fun to do some treat bag toppers featuring all the darling icons and papers from the Sweet Things collection. 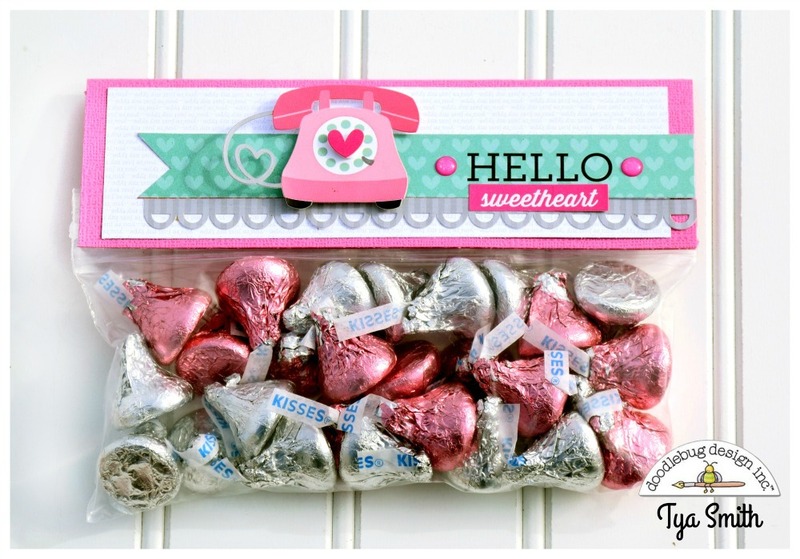 Let me give you a little tutorial on how you can make a batch of these for your own. First gather up your supplies. I am using snack size Ziploc bags to hold my treats and they measure about 6 1/2 inches by 3 1/4 inches. For the base I cut a piece of cardstock 4 inches by 6 1/2 inches. 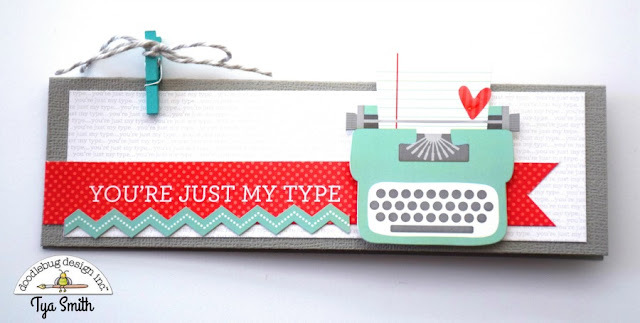 I also used a piece of pattern paper from the 6x6 paper pad. I cut the pattern paper 1 3/4 x 6 inches. 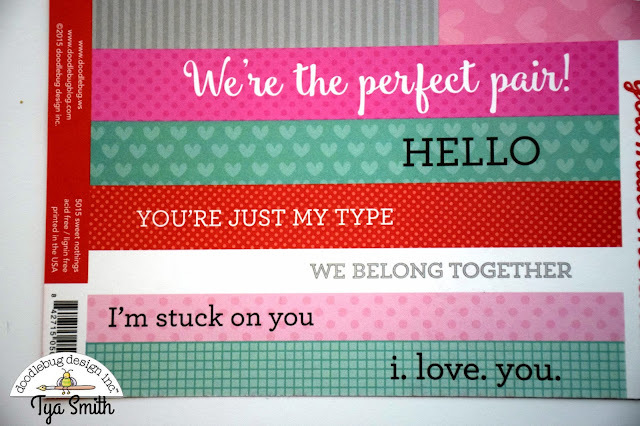 I also used one of my favorite sheets of pattern paper from the collection - It is called Sweet Nothings and it has these awesome sentiment strips on them that I used for the sentiments for my toppers. Then I gathered up some icon stickers, fancy frills and other various embellishments to decorate the toppers. To make the base, score the 4 x 6 1/2 inch piece of cardstock at 2 inches on the 4 inch side. 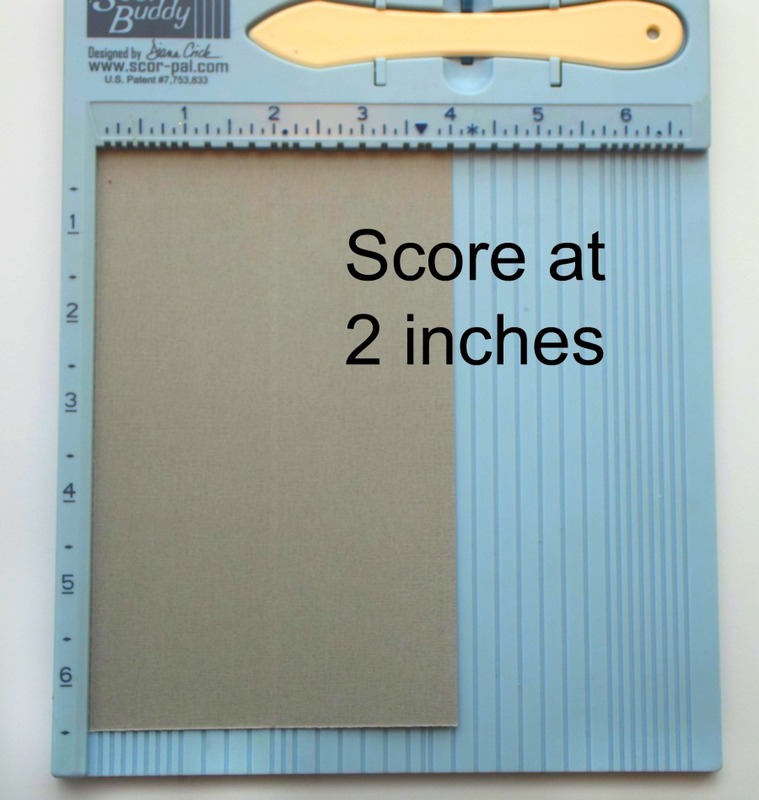 Next, place a piece sticky strip on the 2 bottom edges of the cardstock. Now you can decorate the toppers. 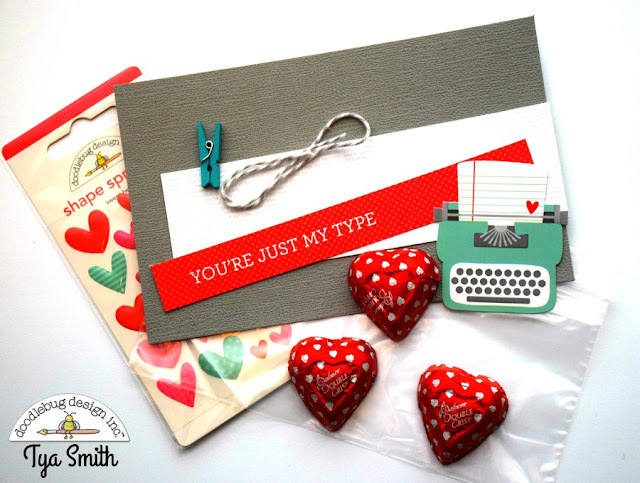 For this one I added a typewriter sticker from the Icon Sticker Sheet, a chevron Fancy Frill, a clothespin with some white and gray bakers twine and a Heart from the Shapes Sprinkles pack. Finally, take the backing off the sticky strips. 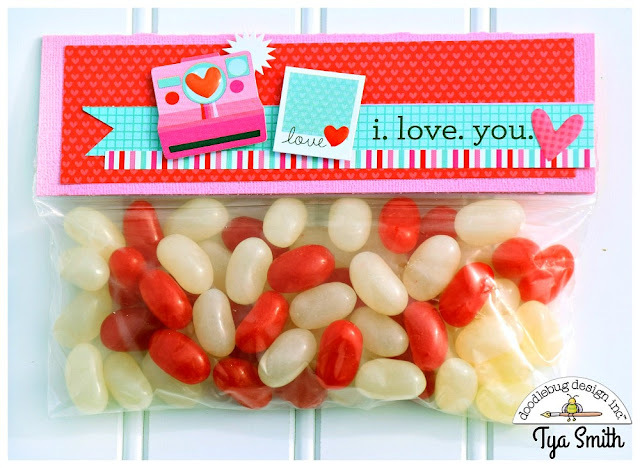 Add some of your favorite candy to the bag and seal it up. Take the backing off the sticky strips and add the topper to the bag. Here are some close ups of a few other bags that I did up. I had a lot of fun with this line. Hopefully I have inspired you to whip up a batch of these for your Valentines this month. Thanks for stopping by today and Happy Crafting! 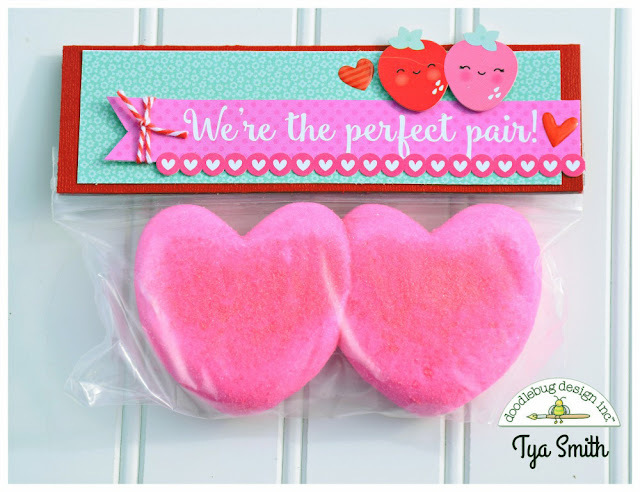 These are just perfect Tya!!! 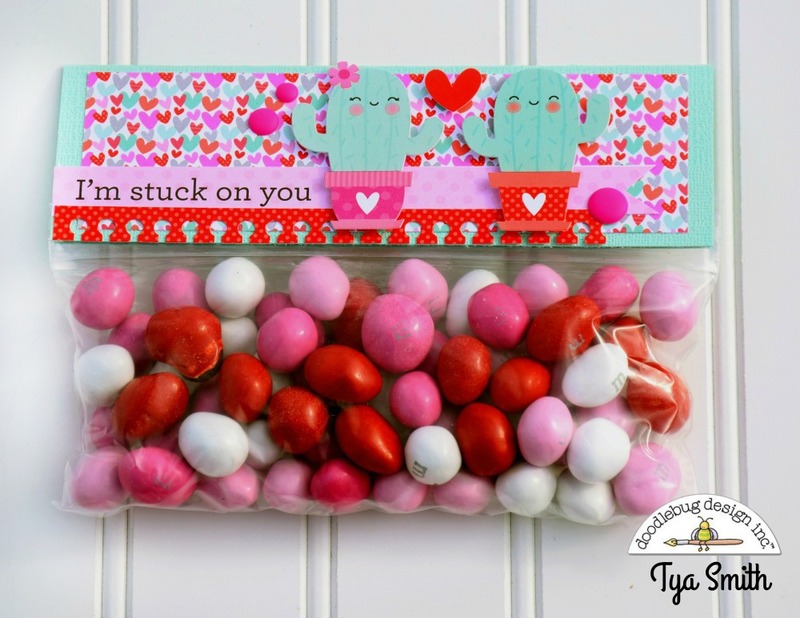 Love these Tya ... and it's a great tutorial!! Great idea Tya!! Love these! 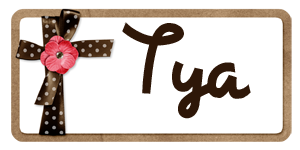 i just love these Tya!! !